Africa, Europe – Europe and Africa: Surfers live differently on each continent and Africa marks a special place – as surfing is in many places at its very beginnings. 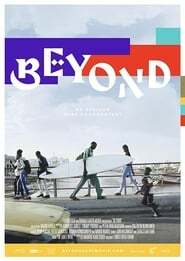 ‘Beyond – An African Surf Documentary’ follows locals along the coast of Morocco, Western Sahara, Mauritania, Senegal and Gambia into their homes, visits their home surf spots and takes a look into their surfing lives. Three months of shooting culminated in a 111 minute long episodic journey on a continent, that has the potential to be the next big thing in surfing.